It’s fair to assume that no one reading the above statement is surprised by the idea that drinking plenty of water is crucial to human health. The fact is repeated to the point of cliche, often suggested as a cure for all ills. We all know we should be drinking more water to stave off the damage chronic dehydration can cause, enjoy a clearer complexion, and simply feel better - but is the matter actually that simple? Below, we’ve dug into the facts to try and get to the bottom of this often basically-presented - but actually surprisingly complex - issue. 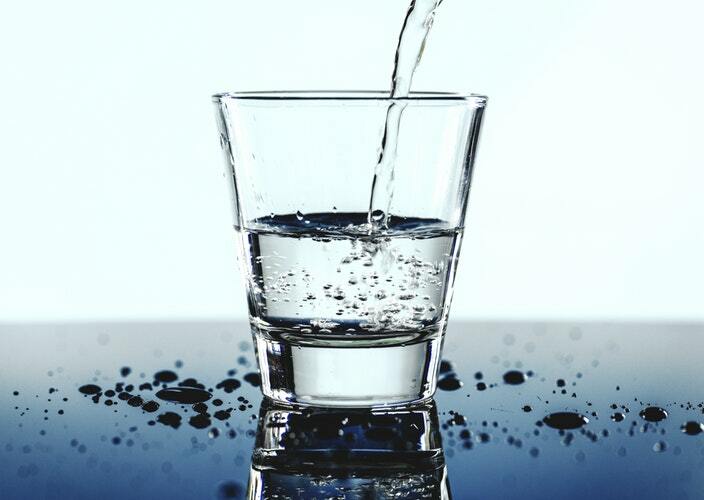 The general recommendation is that you should drink eight (8 oz) glasses of water per day - but, unfortunately, this has been disputed on numerous occasions. Some argue that the 8x8 “rule” is arbitrary, while others dismiss it as it doesn’t take into account various lifestyle factors - for example, someone who is exercising heavily should definitely drink more than 8x8 per day. So, how much water should you drink? It’s really up to you. If you’re thirsty, then drink water. If you’re not thirsty, then you can go without if you prefer - though there are a few caveats to keep in mind. Diuretics are beverages that actually contribute to dehydration. The most common example is alcohol; if you’re thirsty and you drink a glass of wine, in terms of your body’s response, you’ll be more dehydrated as a result of doing so. The same applies to beverages that contain caffeine, such as coffee and green tea; the caffeine acts as a diuretic, which worsens dehydration. Even worse, the problems diuretics can cause will be exacerbated if you are exercising regularly. It is also worth noting that the two diuretics above are not particularly beneficial beverages, either: alcohol is often misused, while the benefits of caffeine are minimal. As a result, it may be worth exploring the possibility of alternatives- such as learning how to stop drinking or maybe switching to decaf or limiting your caffeine usage. Ultimately, the benefits of cutting out alcohol and limiting your caffeine intake expand far beyond simply improving hydration levels, but can also undoubtedly be beneficial in this regard. In discussing the above, we have noted the need for adequate hydration during exercise, and this is a point that is worth underlining. If you are working out, and particularly if you are sweating, then you will need to increase your water intake accordingly. It’s also worth noting that this is advisable even if you don’t particularly feel thirsty; if you’ve lost fluids due to exercise, then they need to be replenished regardless of how well-hydrated you feel. In conclusion... Increasing your water intake is often suggested as an essential for all health-related issues but, as we have pointed out above, the matter is a little more complex than is often presented. So, while it is important to note the potential issues caused by diuretics and exercise, as a general rule: drink water when you’re thirsty, and you shouldn’t go far wrong.